A common form of indium is shot. It has more surface area (per unit weight) than ingot, so it is preferred in applications where it needs to be dissolved. 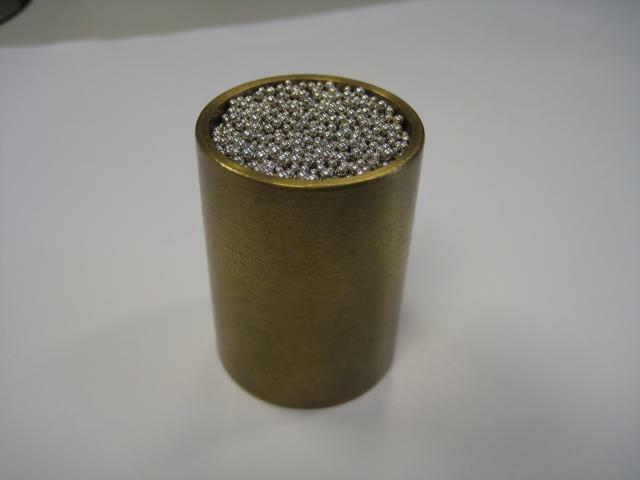 Plating and chemical digestion processes are good examples of applications where shot is an ideal form of indium metal. It is also commonly used in evaporative PVD processes to create thin-film layers on substrates (think CIGS solar cells). 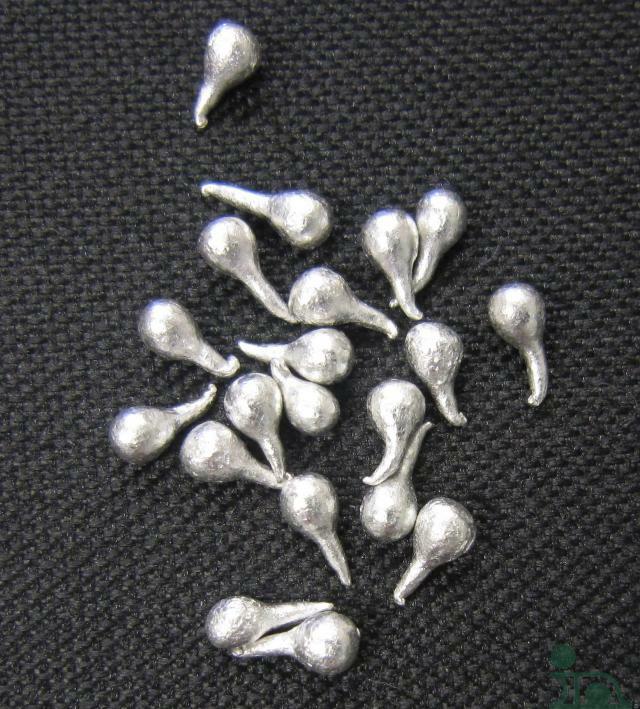 Traditional indium shot is teardrop shape, but it can also be made into round forms. Round shot is convenient, since it has a better packing density and pours more easily – especially in the case of indium. The reason round shot pour out of a container more easily is that they are free to roll. Teardrop shot roll and slide, and if you have ever handled it before you will know: indium does not like to slide against indium. Here is a video of indium cold welding to itself. A similar, but larger, form is called droplets. 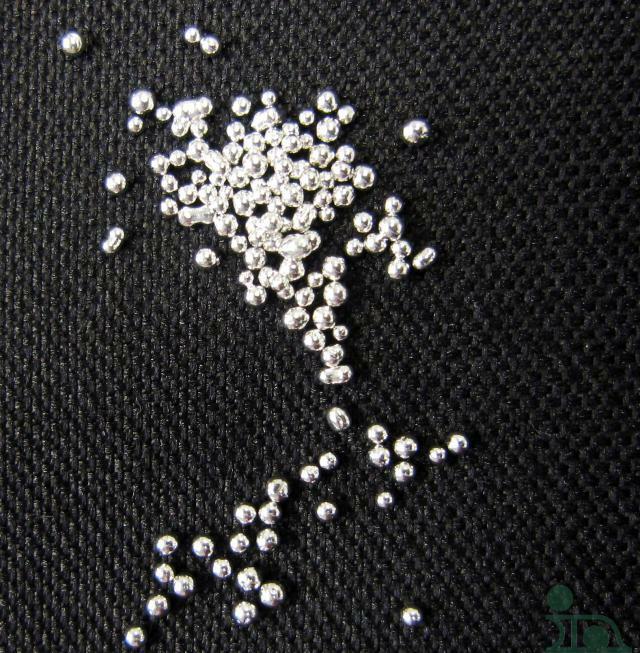 Droplets are a good compromise between the bulk form of a small ingot and the finer size of traditional shot. This is a relatively newer form of shot.